Presenting prestige Led Lantern bring home a prestige emergency lantern and say goodbye to those unwanted power cuts and darkness. Our Led power emergency lanterns are the perfect solution for all your lighting needs. Be it in household applications like children's study, house hold works, or out door applications like camping, trekking etc. prestige emergency Lanterns are a must have accessory at your home. Presenting prestige Led Lantern bring home a prestige emergency lantern and say goodbye to those unwanted power cuts and darkness. Our Led power emergency lanterns are the perfect solution for all your lighting needs. Be it in household applications like children's study, house hold works, or out door applications like camping, trekking etc. 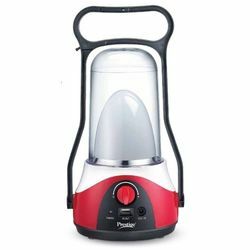 prestige emergency Lanterns are a must have accessory at your home.